Loss of Use: Is the At-Fault Driver’s Insurer Required to Provide a “Comparable” Rental Vehicle? So my car got rear-ended while legally parked next to the curb in front of my house by a car traveling around 35-40 miles per hour. 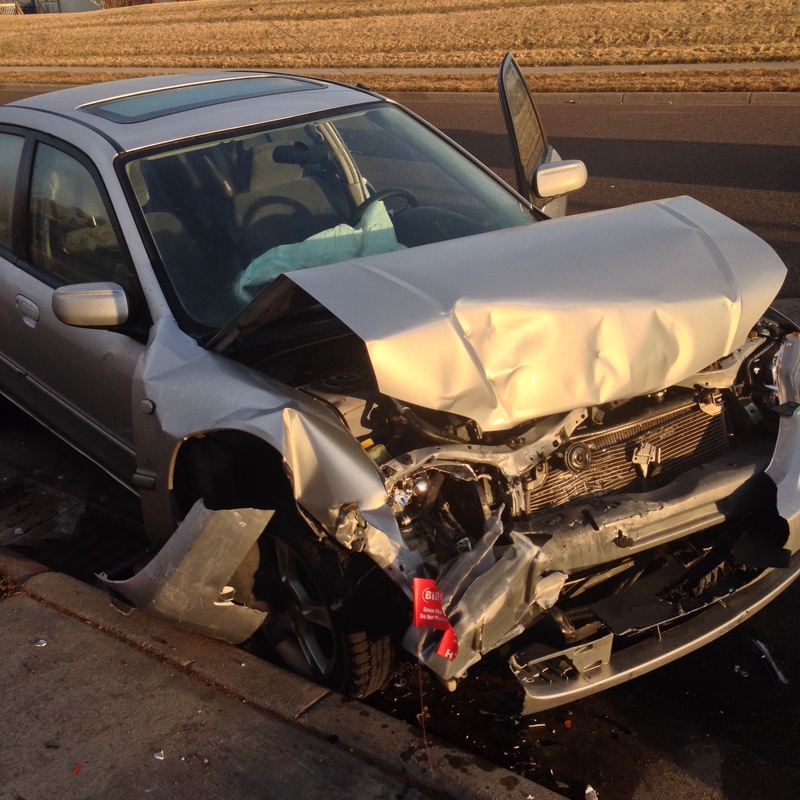 Fortunately, the teen-aged driver of the other car (depicted in the photograph) was insured and didn’t suffer any injuries. 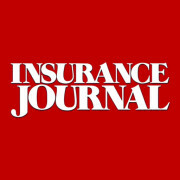 Unfortunately, the teenager’s insurance company (I’ll refer to it as ABC Insurance Company) didn’t understand the law of loss of use damages or its obligations under the property damage liability coverage of the auto policy it issued to the teenager. My car got hammered. I happened to be on my front steps drinking a cup of coffee at the time and saw the accident. The force of the impact caused my car to be propelled over 150 feet down the street and into and over the curb on the other side. It was in the shop for three weeks. At the outset, ABC told me they’d only pay for a compact-sized rental car while mine was in the shop for repairs. My car is mid-size. I told them I’d try it, but that ABC was obligated to pay all damages their insured caused and I was entitled to a comparable mid-size car. I tried the compact for three days. It was too small and provided absolutely no lumbar support so I “upgraded” to a Kia Optima – a mid-size car. The upgrade cost around $10 per day. Upon learning of this, ABC refused to pay the $10 daily difference between the compact and the Kia. ABC told me they had an internal rule of only reimbursing third-party claimants for the cost of a compact vehicle, rather than a comparably-sized vehicle, and they were only required to provide “transportation.” I politely disagreed, advising that I didn’t care about their internal rule; that I was entitled to reimbursement based on the cost to rent a comparably sized vehicle. The amount at issue wasn’t that much (around $190 at the time my vehicle was fixed), but it was the principle of the thing. So, I did some legal research. I knew I wouldn’t find anything exactly on point in Minnesota, but assumed I’d find law to support my view elsewhere. Virtually all states recognize the right of an automobile owner to recover damages for the loss of use of the damaged vehicle while it is being repaired. See, Kopischke v. Chicago, St. P., M. & O. Ry. Co., 230 Minn. 23, 30–31, 40 N.W.2d 834, 839 (1950); Hanson v. Hall, 202 Minn. 381, 387–388, 279 N.W. 227, 230–231 (1938); Restatement (Second) of Torts § 928(b) (1979); 4A Minn. Prac., Jury Instr. Guides–Civil CIVJIG 92.10. The purpose of awarding loss-of-use damages is to provide compensation for monetary loss and inconvenience suffered during the time required to repair the damaged vehicle. I found several cases stating that the reasonable value of the loss of use of an automobile is measured by the rental cost of a comparable vehicle. See, e.g., AT & T Corp. v. Lanzo Const. Co., Florida, 74 F. Supp. 2d 1223, 1225 (S.D. Fla. 1999) (“loss of use damages are measured by the amount necessary to rent a similar article or other suitable article within which to perform the services usually performed by the damaged article during the period of repair”); Lewis v. Lawless Homes, Inc., 984 S.W.2d 583, 586 (Mo. Ct. App. 1999) (“The value of its use is the cost of renting a similar piece of equipment”); Papenheim v. Lovell, 530 N.W.2d 668, 673 (Iowa 1995) (awarding loss of use damages based on rental rate for full-size vehicles similar to plaintiff’s damaged full-size vehicle); Chlopek v. Schmall, 224 Neb. 78, 89, 396 N.W.2d 103, 110 (1986) (“The reasonable value of the loss of use of personal property is generally the fair rental value of property of a like or similar nature or the amount actually paid for rental, whichever is less”); Lamb v. R.L. Mathis Certified Dairy Co., 183 Ga. App. 455, 457, 359 S.E.2d 214, 216 (1987) (“plaintiff would be entitled to reasonable rental value of a comparable car for a reasonable length of time to have the body repairs completed”); Lenz Const. Co. v. Cameron, 207 Mont. 506, 509-10, 674 P.2d 1101, 1103 (1984) (“We do not disagree with using, as a general measure of loss-of-use damages, the reasonable rental value of a comparable machine for the period of time necessary for replacement”); Gillespie v. Draughn, 54 N.C. App. 413, 417, 283 S.E.2d 548, 552 (1981) (“The measure of damages to be recovered is the cost of renting a similar vehicle during a reasonable time for repairs”); Apostle v. Prince, 158 Ga.App. 56(2), 279 S.E.2d 304 (1981) (“The plaintiff expressed his opinion as to the reasonable rental value of a comparable car. There was sufficient evidence presented to allow the jury to determine damages for loss of use”); Roberts v. Pilot Freight Carriers, Inc., 273 N.C. 600, 607, 160 S.E.2d 712, 718 (1968) (“Ordinarily the measure of damages for loss of use . . . is the cost of renting a similar vehicle during a reasonable period for repairs”); Nat’l Dairy Products Corp. v. Jumper, 241 Miss. 339, 344, 130 So. 2d 922, 922-24 (1961) (“In short, loss of use of a repairable vehicle is measured by the reasonable rental value of a similar unit . . . This measure of damages for loss of use has the virtue of certainty and fairness, in that there can ordinarily be determined specifically the value of the loss of use, by ascertaining the rental value of a similar vehicle”); Naughton Mulgrew Motor Car Co. v. Westchester Fish Co., 105 Misc. 595, 597, 173 N.Y.S. 437, 438 (App. Term 1918) (“The practice has obtained in these damaged vehicle cases of allowing the cost of the actual hire of another vehicle similar to that damaged”). Stated simply, the liability insurer of the at-fault driver is obligated to pay for the rental cost of a vehicle similar or equal to the vehicle that was damaged while the damaged vehicle is undergoing repairs. If a compact car was damaged, the owner is entitled to recover the cost to rent a similar compact-size car. If a mid-size car was damaged, the owner s entitled to recover the cost of a similar mid-size car. If a truck was damaged, the owner is entitled to recover the cost to rent a truck. It’s pretty simple — at least in my view. I gave ABC one more chance to pay my bill. I figured if they told me “no” three times, they’d strike out and I’d have to sue. This entry was posted in Coverage, PAP, Rentals. Bookmark the permalink. 2 Responses to Loss of Use: Is the At-Fault Driver’s Insurer Required to Provide a “Comparable” Rental Vehicle? So, what happened? Don’t leave us hanging, man! They paid the higher amount . . .